2 km. south of Brignoles (N7 and A8) by route D554. La Celle has managed to keep its typical Provencal feeling with its shaded village square, the village wash house, the fountains, the game of French bowls (petanque), and the ancient streets and houses. The river Caramy crosses straight through the village giving a pleasant atmosphere of freshness and greenery. 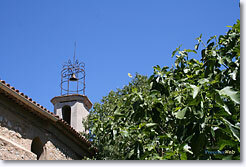 La Celle is agricultural, and in particular, a viticultural community. The red wines and the rosés (Var) are very fruity and well appreciated. These wines, along with the Couvent Royal, a 12thc. Benedictine Abby, are the pride of the people from La Celle. The Abby of La Celle has been through many different periods af Provence, prosperous times, wars and secessions. An ambitious restoration project has been started and the Logis du Prieur (the prior's residence) in the gardens, will be transformed into a luxurious hotel-restaurant as it had been during the war in 1945. 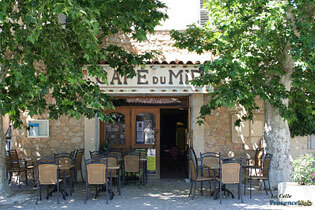 General de Gaulle stayed there several times. the Chapelle Necropole de la Gayolle, the abby. 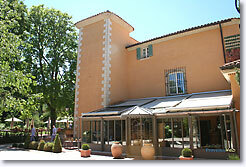 Tennis, hiking, swimming pool at Brignoles. Evening concerts in the chapel of the abby in the summer. 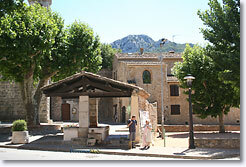 Camps la Source (10 km), Forcalqueiret (10 km) and Tourves (10 km).